My research is focused on unlocking the potential of soils – I believe that they could be better, better at supporting crop production, better at supporting native fauna and better at supporting carbon storage. As a soil scientist, I spend a lot of my time doing lab and field trial research and it is important to me that my research is useful. I really enjoy talking and working with agronomists and farmers and it was clear that there is a real need for better measurements to help measure the impact of changes they were making to improve soil health. If you can measure it, you can manage it! The complexity of soils can be overwhelming but decisions that are made above the ground influence the millions of earthworms below the ground. Spending their entire lives eating, burrowing and breeding in soils, with sensitivities to pH, waterlogging, compaction rotations, tillage and organic matter management – worms provide a unique insight into soil health. If you were to dig a hole in arable field in the country, what do you think you would find? My research indicates that you’re likely to find at least one earthworm – regardless of whether the soil is intensively managed or not. However, things start to get interesting when the the earthworms are simply assigned to their ecological groups - because this provides an early warning sign of overworked soils. It is well known that epigeic and anecic earthworms are at risk of becoming locally extinct from over cultivation. This is why I set up the #60minworms pilot study and I’ve had a fantastic response - I was hoping for 100 fields and I have received 74 surveys back to date! The analysis is ongoing (and results are still coming in) – but results are very promising. Around 20 % of arable fields have a very high abundance of earthworms –meaning that earthworms may directly improve crop productivity. There are fields that have scored 100 % on all five categories on my soil health test, which means worms are mobilizing nutrients for plants, forming deep burrows to help with plant rooting and water infiltration and a valuable food source for the nesting birds this Spring. 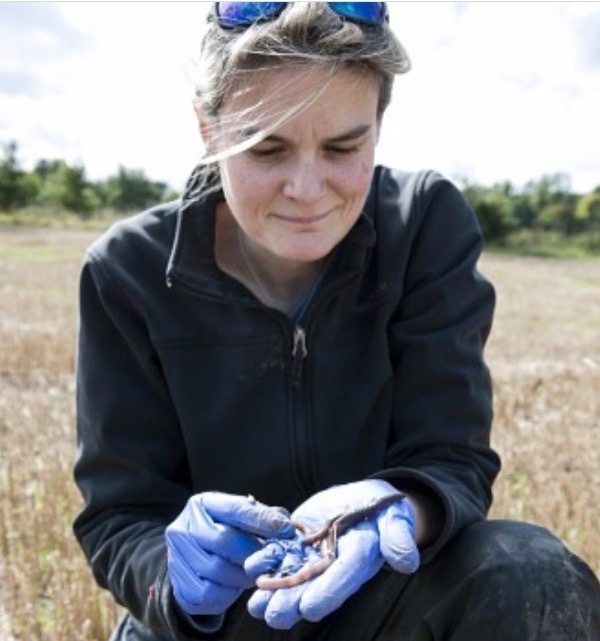 Identifying these top fields provides key insights for those with depleted earthworm communities looking to fast-track improvements in soil health - knowing what you have, can help to make it the best that it can be. Learn more about Jackie's work on applied soil science here or follow her on Twitter to keep up to date with her reseach as it unfolds.